Engaged in manufacturing the auto components products like front bumper stainless steel. With the assistance of our skilled professionals, we are able to offer a wide range of automobile Bumpers to our clients. These protect the front-most and rear-most part of the Car from any damage. We designs these bumpers to ensure less injury to the the pedestrians struck by cars. 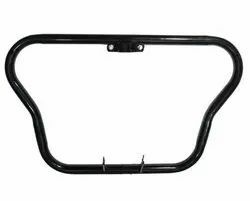 A wide assortment of Rear Bumper Guard is bringing forth by us for the customers. 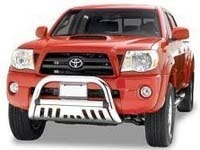 We design this Rear Bumper Guard with complete care and attention as per the set industrial quality norms. On the other hand, our product is easy to install and available in various dimensions that are required by our patrons.